In her book, “The MBA Bubble,” Mariana Zanetti, an MBA graduate of IE Business School in Spain, argues that getting an MBA is a waste of time and money. The following has been excerpted from the book with her permission. The first thing I am going to say about wealth is that many authors who write about prosperity and wealth make it clear: A job will not make you rich. If you want to be wealthy, at some moment of your life, you will have to create a source of income other than your salary. This is an evident and crushing reality: If you sell your time to others, you will quickly reach a limit in your capacity to generate income. In his book “Rich Dad, Poor Dad,” Robert Kiyosaki said that the rich do not work for money; they generate assets that work for them. If you want to learn how to work for money, go to school. If you want to learn how to work even harder, you should get an MBA. OK, some top managers earn millions (and they are therefore millionaires). 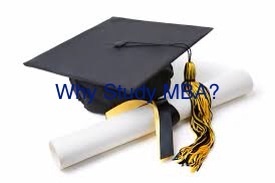 Some people still think they can get to those positions with an MBA — as if the Businessweek study, which found an MBA does not have a causal relationship with professional success, was not convincing enough. Do you want some more proof that an MBA will not get you there? If you look at the degrees of CEOs of the CAC 40 (the main stock exchange index in France), you will see that the MBA is nothing but an “optional” degree. In some companies, it is still desirable to climb the corporate ladder. These companies represent a very low percentage of the companies in the market, and you do not need an MBA if your biggest ambition in life is to climb to a top management position. But let’s go back to the topic that interests you: how to be rich. If you want to be rich, you must be an entrepreneur, investor, or both. By a simple matter of statistics, your probability of becoming a rock star, sports star, or Standard & Poor’s CEO are very low (and believe me, the MBA will not increase your probability of becoming a Standard & Poor’s CEO). The richest men in the world are entrepreneurs and do not have MBAs. Many of them have no degree at all or quit college when they realized that it was only teaching them to be employees and to obey. Today these people hire the ones who have degrees. Consider the cases of Mark Zuckerberg with Facebook, Bill Gates with Microsoft, Steve Jobs with Apple, Amancio Ortega with Zara–Inditex, Richard Branson with Virgin, or Ingvar Kamprad with Ikea. And there are a lot of anonymous rich men and women who have never sat in a college classroom to learn how to be corporate slaves. An MBA may not make you rich, but it can open doors.